In art history 101, I learned the terms ‘grape-head cluster’ and the ‘archaic smile’. Art history 201 introduced me to ‘warts and all’ realism… and then full circle to art history 301 that celebrated the minimalism of emotionless abstracts, geometric grids, and installation art like a chair nailed to a wall or an unmade bed. Go figure. But all the arts are subjective. 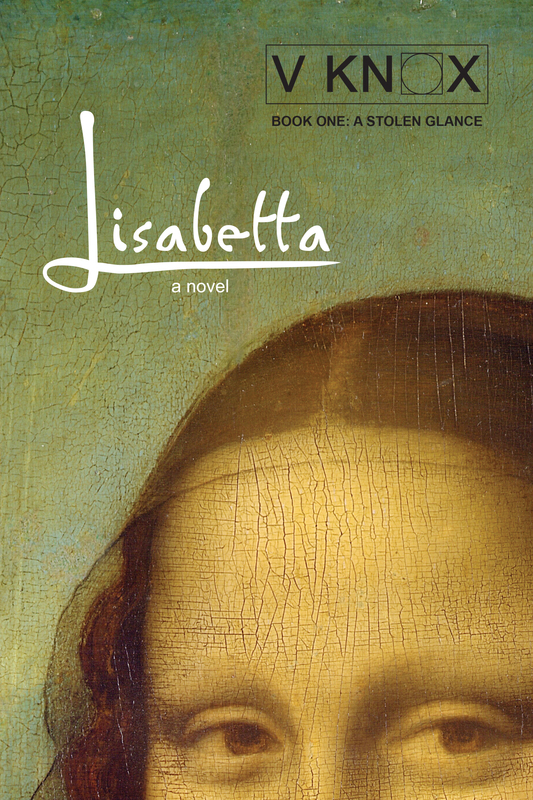 Beauty is in the eye of the beholder… or the reader. Paintings are pretty much all show with no tell. A narrative painting is visual art that shows a story. What you see is what you get. But before artists wised up with anatomy, proportion, and perspective, art could be fairly flat. 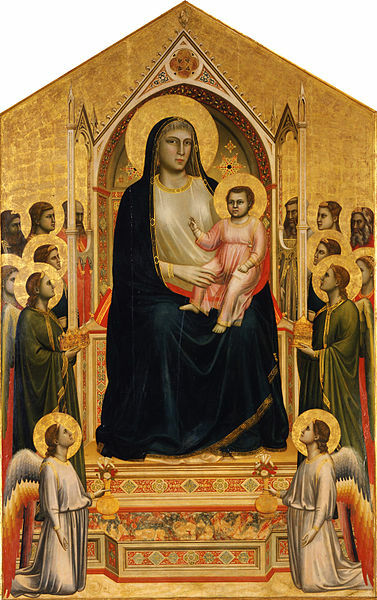 Even the lavish addition of gold leaf failed to breathe life into bland Madonnas or their accompanying bands of angels with vacant expressions. Enter, the grape-head world of characters lacking character. Portraits that lack emotion are as transparent as a novel with 2-dimensional characters. Put generic characters on a blank page and somewhere a book slams shut. But, plump juicy stories still have to live on flat pages and screens. The expression: stories that jump off the page ‘springs’ to mind. Disney animations from thousands of drawings spring to mind. Emotionally bereft figures evoke the sound of crickets. Books hit walls. A symbolic icon implies a story learned by rote but they rarely fish the deeper waters of a compelling story. The ‘grape-head cluster’ refers to a mandatory crowd scene in a painting where a group of anonymous extras appear to be arranged on bleachers. This may work for a school photograph, where students in the front row are seated and subsequent rows are arranged shortest to tallest. We’ve all been able to pick out the face of a parent from their ‘grape-head’ classmates bunched together. But that’s because individual people have unique features. Early Byzantine paintings take ‘show don’t tell’ to a whole new level. They say little or nothing of profound consequence. They display bloodless bodies with ‘everyman’ faces who have never taken a breath. They lack emotional spark. They lack depth of field. 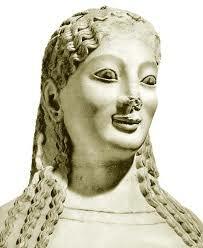 The ‘archaic smile’ is characteristic of the earliest Greek statues. They were pillar-like figures with surface features cut to suggest the fake smiles of a doll. No muscles flexed under their stone robes. In short, they lacked life. They lacked story. The literary equivalent to lackluster figures is the ‘talking head syndrome’ – colorless characters having a conversation on a field of white paper. No floors, walls or ceilings, to frame them. Minimalism is not advised in storytelling. Realism is the way to go. It’s emotional story realism that tracks a beeline to the bestseller lists. 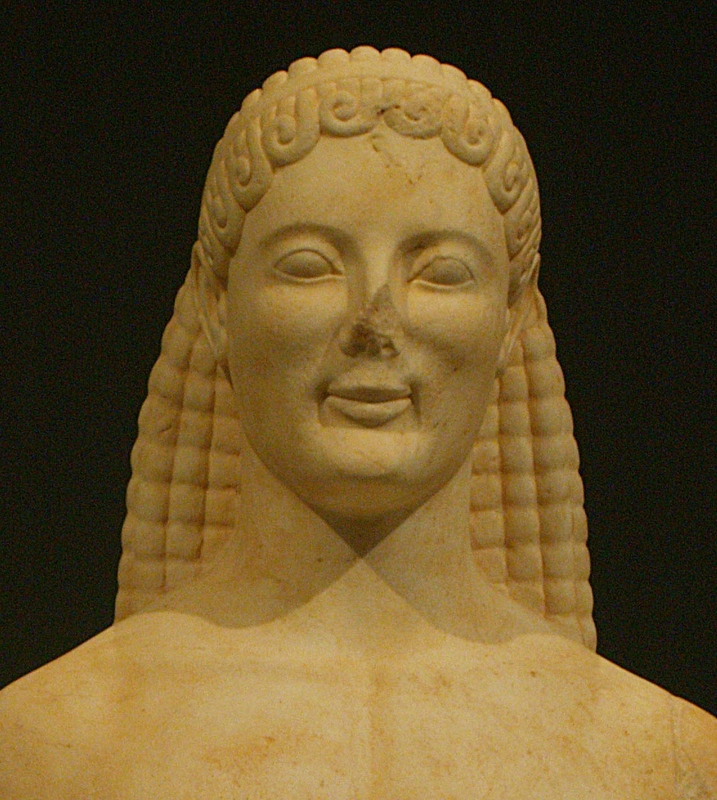 The ‘ARCHAIC SMILE’ describes carved expressionless ‘happiness’ without facial muscles. Imagine these two in conversation. Boy meets girl in a romance novel of love between puppets… a book slams shut. 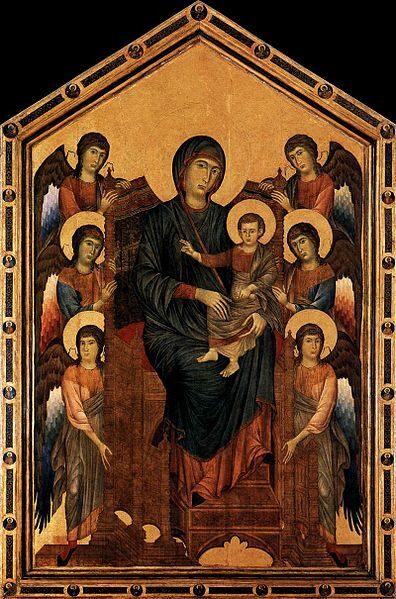 CIMABUE’s ‘Virgin enthroned with angels’ – 1295 is a paranormal ‘story’ with no spirit. Solid gold halos add to the effect of vertical grape-head totem poles either side of an insipid Madonna. These angels can’t sing. They hardly exude joy. Cimabue was considered the last artist of the Byzantine tradition. The inhabitants of his paintings are as flat the surface they call home. His icons are superficially decorative because they were created for spiritual focus. They were never meant to reflect characters who lived next door. And… that is one messed up looking infant for a man who must have observed actual babies. Cimabue’s student, GIOTTO, progresses… slightly. Now, I ask you, does that baby look like a chubby newborn? Its proportions reflect a shrunken adult. Its face is that of an old curmudgeon. Holy Mother Batman, that female is not holding her child safely. The infant has been stuck on like a collage. Not very cuddly. Say no more. If you wrote a novel like this painting by DUCCIO, with a multitude of uninteresting supporting grape-head characters, how many literary stars would it generate? Here comes that lone-star review. I love this painting. In fact, it inspired me to write an entire paranormal romance about its ‘main man’. Still, the figures displacing their grape-head ancestors must be ten feet tall or they’ve been arranged on convenient boxes that existed at the nativity scene. The face looking at us from the back row belongs to the man who commissioned this work. He has a story. The foreground figures are true-life portraits of the ruling class Medici family. Big thriller stories in that family! 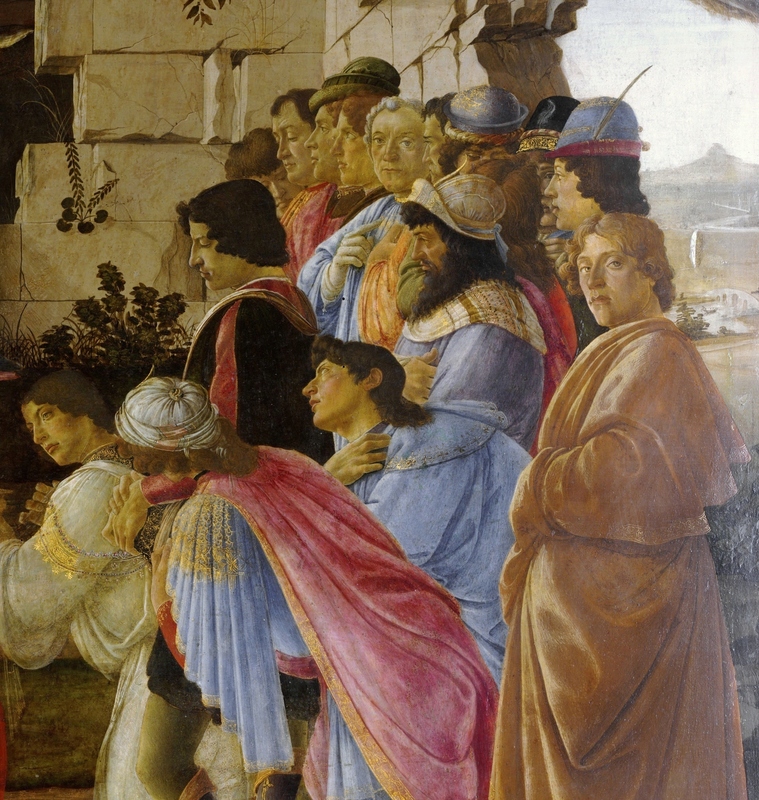 Botticelli has been ordered to cast them as actors in starring roles to cull brownie points. We call it favoritism or false advertising. The grape-head making eye contact with us from the back row ingratiated his position through the art of flattery. Ironic, since the figures in this painting have definitely advanced to three-dimensional. 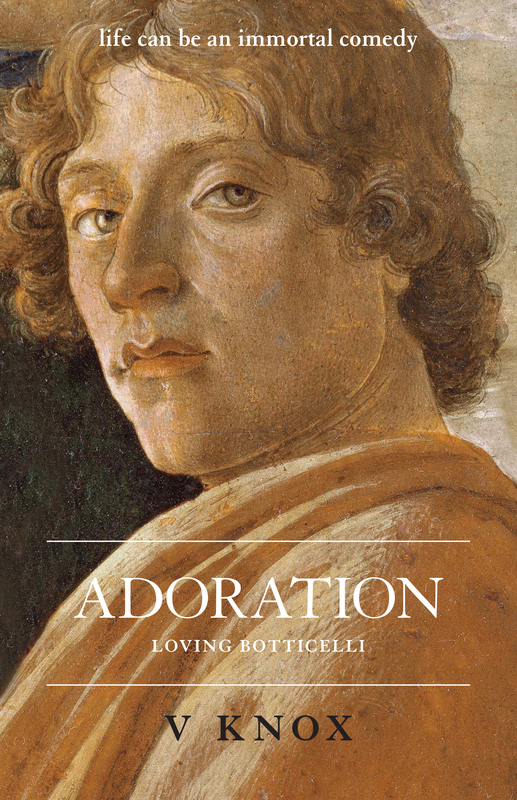 Especially, the figure in the lower right corner – a self-portrait of the artist himself, Sandro Botticelli. Like I said, his expression inspired an entire novel. This is a religious iconic work bursting with dozens of stories. Authors engage the indecently plump sixth sense of imagination. Can description go a tad too far? Characters in a richly-painted storyline can obsess to the point of showing too many micro-details. Thrillers can ooze gory details in as many scenes as page counts will allow. The best characters are unforgettable one-offs who face inner demons and real struggles. They grow in arcs of surprising comeuppance. Authors reveal them word by word. Characters in a great story emerge from multi-layered angst – heroes who love and hate in breathtaking deeds of fight or flight. Stories like these luxuriate in color, emotion, textures, settings, fantasy, and lives ‘who’ deliver vicarious thrills of one kind of magic or another to dedicated readers of fiction. Compelling characters take stories to bestseller status. Books go ‘viral’. Browsers must duck their accompanying tsunamis of high-five stars. 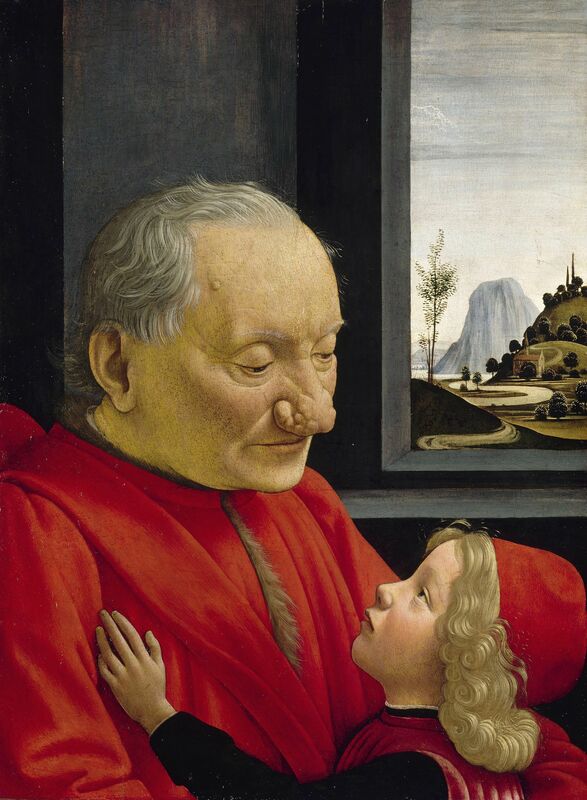 Domenico Ghirlandaio – 1490 *A narrative painting with color plus emotion plus texture plus setting, and more importantly, a STORY about a boy and his grandfather. What has been said? Has the child asked a question? From his expression, what will the grandfather answer? These two are communicating, oblivious of we viewers.. I mean, readers. Because humans read pictures. We think in pictures and we write in pictures. Methinks this painting could be a poignant scene in a novel of historical fiction. – to fully realized characters inhabiting real space within a story well-told… I mean, shown. Movies can evoke every emotion with a few well-placed swells of music. Creaking stairs and a snuffed candle in a creepy house sets a viewer squarely in the heart of a ghost town. Movie stars are shorthand characters. We would pay to watch them read phone books. Hopefully, the books we read ourselves contain more theatre. And speaking of theatres… from the stage, actors gaze out over rows of ‘grape-head audiences’ seated in tiered rows. An audience essentially remains anonymous. They are the crowds in a painting who applaud and… write reviews. Writers may work with a smaller palette than movie-makers’ special-effects but we use more ‘colors’ (commonly known as a thesaurus). To paraphrase a popular song: its only words and words are all we have to take your heart away. What characters in a book left you peering into a void? Did droning dialogue in a white room leave you yawning? Amusement isn’t enough: Did you laugh at a passage out loud? Fear isn’t enough. Did you cringe? Did you recoil from a protagonist’s night terrors? Did you have to close the book, check the lock on the front door, and turn on all the lights? A landscape isn’t enough: Could you walk over the next hill and discover a blue lake? Birds aren’t enough: Did you see the color of their plumage? Did they chirp or screech? Were they crows or peacocks? A green lawn isn’t enough: Did you inhale the scent of newly-mown grass? 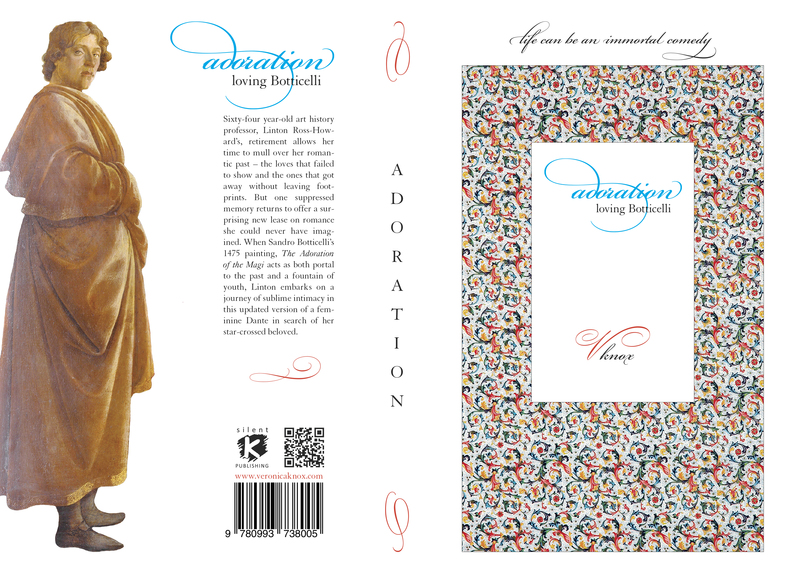 If you’re lucky, you may find a time-slip novel starring a screeching peacock sashaying through ghosts over a vast emerald lawn that reaches towards a blue lake… oh, wait… I wrote one of those, inspired by a Botticelli painting. This entry was posted in Books, Byzantine art, Cimabue, Duccio, fantasy, Fine Art, Ghirlandaio, Giotto, grape-head clusters, Greek sculpture, Historical Fantasy, Historical Fiction, literary fiction, Lost Paintings, paranormal romance, Sandro Botticelli, Silent K Publishing, the 'archaic smile', time travel, V Knox, V. Knox author, Veronica Knox author, women's fiction and tagged Adoration the novel, art history, ghosts, historical fantasy, historical fiction, Italian renaissance, paranormal romance, Sandro Botticelli, Silent K Publishing, time travel fiction, V. Knox author, Veronica Knox author, women's fiction. Bookmark the permalink.